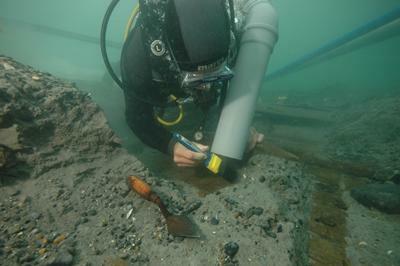 Archaeology graduates can develop an exciting specialism through studying this Masters in Maritime Archaeology degree. Explore the changing relationship people have had with the world’s oceans and seas through the technologies of seafaring, histories of environmental change, the record from submerged landscapes and coastal sites. You will receive either an MA or MSc certificate on successful completion of this course, depending on the research and focus of your dissertation. The MA made me aware of many different aspects of maritime archaeology that I had not previously been aware of and helped me focus the questions I needed to ask to learn more. IELTS 6.5 overall, with minimum 6.5 in reading and writing, 6.0 in listening and speaking, or an equivalent standard in other qualifications approved by the University. 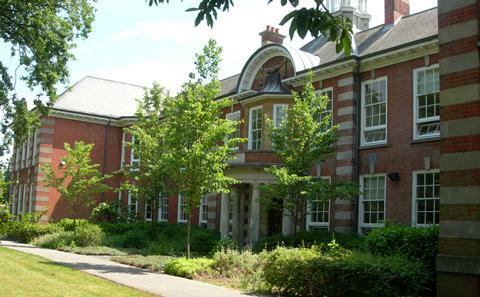 Academic entry requirements: First or upper second class honours degree, or an equivalent standard in other qualifications approved by the University in archaeology, anthropology, history or a cognate discipline. English language entry requirements: IELTS 6.5 overall, with minimum of 6.5 in reading and writing, 6.0 in listening and speaking, or an equivalent standard in other qualifications approved by the University in other approved English language test. The programme includes six taught modules and a 25,000 word dissertation. 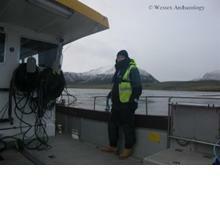 Two modules are core and compulsory and cover the theory and methodology of maritime archaeology. The core module, Maritime Aspects of Culture, is thematic and deals with the development and scope of the subject, current research, theoretical perspectives and central issues. Most of the taught modules include practical modules of between one and three days. Over the course of the year these comprise the equivalent of a three week fieldschool. Our rationale is to teach each technique in its optimum environment, providing the fastest possible learning curve. In addition, students have the opportunity to participate in ongoing field projects run by members of staff and associated organisations. Students may consider taking a 'free elective' as an option in both S1 and S2 - they should contact the MA Convenor if they wish to take a non-Archaeology module. Fieldwork Equipment and materials: During your degree you are likely to go on a number of fieldtrips and to take part in fieldwork. The exact number and nature of these trips will depend on your module and fieldwork choices. However, wherever and whatever you do, you are likely to need access to waterproofs, sturdy shoes or boots, a sun hat and a small rucksack. For some sites you may be asked to have steel toed boots. For those qualified to do so, you may become involved in diving projects. In these circumstances you would normally be required to bring/hire your own mask, fins, snorkel, knife, exposure suit and dive watch (and if possible, dive computer). Activities are designed to enhance your intellectual and research skills and include tutor-led and student-led lectures, seminars, tutorials, the design and execution of group projects (both desk-based and in the field), oral presentations and the design of your dissertation project. Your knowledge and understanding will be assessed through written work, project work, reports and formal oral presentations. At each stage of assessment feedback will be provided to identify your progress and additional areas to consider, develop and concentrate upon. You will also manage a large independent research project: the masters dissertation. The 25,000 word dissertation is a core element in establishing the acquisition of appropriate skills and the application of research techniques. Your masters tutor will be available to provide regular and supportive advice, guidance and feedback on your progress.